Discover the stunning natural beauty and stylish towns of this jewel of the Tyrrhenian Sea on our Capri One Day Tour. Beginning in the spectacular seaside town of Sorrento, we’ll make our way by boat to Capri where we’ll start with a guided tour of Anacapri. You’ll have some free time to visit the enchanting villa of Dr. Alex Munthe, take the chairlift to Monte Solaro or wander the chic boutiques before we continue to the town of Capri. Enjoy more free time to admire the manicured gardens of Augustus or relax at one of the island’s beaches before returning to Sorrento. This tour is a fantastic option to spend the day on one of Italy’s most famous islands if you are already staying on the Amalfi Coast. The Amalfi Coast is an Italian destination as synonymous with la dolce vita as Rome itself. The combination of chic coastal towns, sparkling turquoise waters and spectacular coastal drives means this small pocket of Italy punches above its weight when it comes to attracting travellers. Our one day Amalfi Coast Tour from Naples will take you to explore the highlights of this UNESCO recognised region including the postcard-perfect towns of Positano, Ravello and Amalfi. You’ll have plenty of free time to wander the trendy boutiques, relax at the charismatic cafes or explore the ancient cathedrals. With a plethora of photo opportunities available along the way, you can capture the beauty of the picturesque towns set into the mountains to keep as memories for ever. Staying in Rome but still want to experience the beauty and charm of Capri? Our one-day tour from Rome takes the hassle out of the journey by transporting you directly from the Eternal City to the idyllic island via Naples. We’ll take the ferry across the Bay of Naples to arrive at Capri and explore the island with a knowledgeable local guide. Savour a traditional Italian lunch before enjoying some free time in the afternoon to wander the quaint streets and manicured gardens of the elegant towns. You’ll have the chance to discover Capri’s most famous attraction, the Blue Grotto, with a boat tour in the stunning azure cove. We’ll return to Naples on the ferry before taking the Highway of the Sun back to Rome in the evening. Explore the breathtaking beauty of Capri from Naples with this one-day tour. With 3 – 4 hours of free time, you’ll have plenty of time to get lost in the elegant boutiques of the island’s chic towns or relax on the spectacular beaches. Explore the cobblestone alleys of Capri at your leisure before enjoying a boat tour around the island in the afternoon. From the boat cruise you can fully appreciate the vertiginous nature of Capri and admire the iconic Faraglioni Rocks, while enjoying a refreshing drink on board. We return to Naples in the evening. What better way to explore the stunning stretch of coastline and charming villages of the Amalfi Coast than with private transport and guide? On this one-day tour, you can relax and soak in the spectacular scenery of one of the world’s most impressive coastal drives in comfortable modern transport. Discover the picturesque towns of Ravello, Positano and Amalfi at your own pace, stopping for traditional Italian lunch in a location to suite your style and budget. With a private tour you are free to adapt the itinerary to suite you - no rushing off to the next stop before you are ready. Our private tours are the best way to get the most out of your stay on the stunning Amalfi Coast. Explore the stunning scenery of the Amalfi Coast and the fascinating history of Pompeii on our 2 Day Pompeii, Sorrento & Capri tour. The tour departs from Rome to spend two glorious days taking the spectacular surrounds of the Amalfi Coast, staying overnight in Sorrento. On day one you will enjoy a panoramic tour of Naples before a walking tour with licenced local guide through the dark history and impressive ruins of Pompeii. You’ll have some free time in the evening to explore Sorrento before settling into your four-star accommodation. Day two is spent exploring the iconic island of Capri, including a visit to the famous Blue Grotto. In the evening you’ll be sad to say goodbye to this amazing corner of Italy as we return to Rome. Few excavations capture the imagination like Pompeii; the Ancient Roman city frozen in time by the eruption of Mt Vesuvius in 79AD. Join one of tour Pompeii tours to discover the fascinating ruins and history with a licenced local guide providing engaging commentary and offering rare insight. The excavations offer us a unique perspective of how Romans lived around the time of the eruption, with villas, bakeries, houses and even brothels preserved under the volcanic detritus. 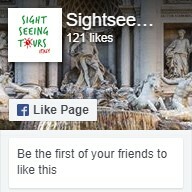 We have tours travelling from Rome, the Amalfi Coast or meet your guide directly at Pompeii. Private tours with personalised itineraries are also available if you want to dig a little deeper into the engrossing history of this one of a kind attraction. No trip to Italy would be complete without a visit to the Eternal City. Rome has it all – Ancient Roman ruins, priceless Renaissance artworks, delightful city squares and some of Italy’s best food and wine. We have Rome tours with licenced local guides to take in the fascinating history, art and culture that enriches this enchanting city. Visit the Colosseum & Roman Forum or wander the cobblestone alleys to discover spectacular attractions including the Trevi Fountain, Pantheon and Piazza Navona. Your guide will offer you an engaging insight into the layers of history that define Rome and will have plenty of local knowledge to share with you, so you can make the most of your stay in the city. Join one of our Vatican Tours to wander amongst one of the most important and extensive collections of Western art in the world. The Vatican houses masterpieces by some of the most influential artists of modern times including Raphael, Michelangelo, Titian and Da Vinci. Our licenced local guides will take you through the comprehensive collection of works, ranging from Ancient Roman sculptures to works of today, providing fascinating commentary on the art and history of the Vatican. Experience the awe-inspiring frescoes of the Sistine Chapel before exploring St Peter’s Basilica. Private or extended tours are available for travellers who want to dig a little deeper into the captivating past and traditions of the Vatican and Roman Catholic Church.